Jat Energy (ASX:JAT) is a China-Australia cross-border specialist in Fast Moving Consumer Goods (FMCG) exports, and it’s been knee-deep in news flow of late. This rapidly expanding supply chain play develops in-house brands for Australian products for sale offline and online, with a strategic focus on milk products. Finfeed’s Zoe Gross recently caught up with executive director, Wilton Yao, to talk shop. FF: Thanks for joining me today, Wilton. For readers who are only just tuning into the JAT story now, could you give me a brief overview of what the company does and what its business divisions look like? Wilton: Jat Energy has been involved in soft commodity trading for about two or three years now. Last year, the company underwent a significant restructuring, moving officially from the energy sector into a FMCG trading business. Within this FMCG trading focus, we concentrate on developing and refining four main areas of the business: in-house products, cross-border and online sales, distribution, and a retail brand presence. In line with these, we recently decided to acquire a number of existing businesses to establish our in-house brands and enhance profits. That's very important in a longer-term capacity — to allow us to compete in the market, to challenge it. We also think the distribution channel is very important. If you want to be involved in FMCG, sure, you need to have trustworthy, quality products, but you also need a sales channel. So, for this purpose, we acquired Green Forest, which is one of the largest distributing forces in Australia, with about $50 million in revenue last year. This year, that’s looking more like $60-80 million, which will put us in a very healthy cash position. With Green Forest, we can push our new products straight to market — they supply over 200 gift shops, duty free stores and daigou warehouses in Australia, plus more than 50 shops and pharmacies in Hong Kong and China. We also acquired Australian dairy brand, Golden Koala, which produces a range of pure dairy milk products including baby formula, and are in the process of acquiring Sunnya — an Australian exporter which has its own brand called ‘Neurio'. Neurio features a diverse range of products, including Lactferrin formulated milk powder, DHA, Probiotic, D3, etc. FF: Currently, your focus is on milk products and baby formula, which are in very high demand. What other goods would you be interested in selling in the future? Wilton: Something we discovered early on is that the maternity and baby markets are very, very important in China. China has had the one-child policy for a long time. One of the ways this shows is with working-class parents in China, who don’t necessarily have a lot of money, but they try to give to the kids as much as they can — it’s a big priority for them, so this sector is really important. But now, the Chinese government changed the policy for the second child, which expands the market further. That means you have more consumers. So a big market is baby products in general —not just milk products, but also baby food and baby health care products, and these are areas we’re looking into. Another area we’ll be trying to tap into is the skincare market. This is another major area for us because China is so big, especially the young people, and this also intersects with the kids/maternity market. JAT is only just starting to dip its toe into the skincare market, so investors should take all publicly available information into account and seek professional financial advice for further information if considering this stock for their portfolio. FF: There's been a lot of positive news flow from JAT recently, including the high-profile campaign you're running on China's 'Little Red Book' shopping platform and the new Golden Koala product launch. The latest has been a major NEURIO deal with Woolworths for sale to Chinese consumers. Tell me a bit more about that. Wilton: We approached Woolworths about two years ago, and steadily developed a very good, mutually beneficial relationship with them. We exported Woolworths brand products, like home-brand products and selected brand products, into the China market. But since last year, our relationship has gone to the next level. With this new agreement, Woolworths will now offer NEURIO Lactoferrin for sale to Chinese consumers through its flagship store on TMall Global from early August. The TMall Global is a cross-border platform, and is the only online store for Chinese consumers to buy products direct from Woolworths. 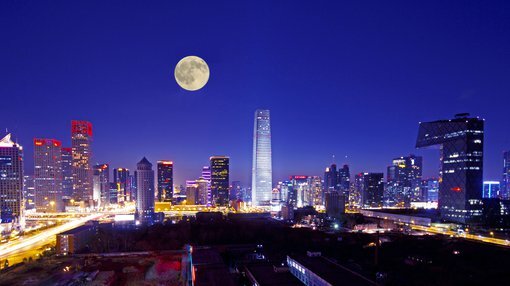 This is a significant stage for us, and illustrates the benefits of our Chinese inspection and quarantining import licences, as well as our distribution channels — including our extensive online and offline resources that are needed to launch and grow Australian brands and products in the Chinese market. It sends a strong message about the popularity of NEURIO Lactoferrin in the Chinese market, and gives a big boost of brand exposure, which is important to drive sales. Our relationship with Woolworths is continuing to grow. Now we’re in discussion about the next stage in the relationship, which will see Woolworths buying products from us to sell to the local stores. If that happens, that will mean massive quantity, because there are more than a thousand Woolworths stores in Australia. 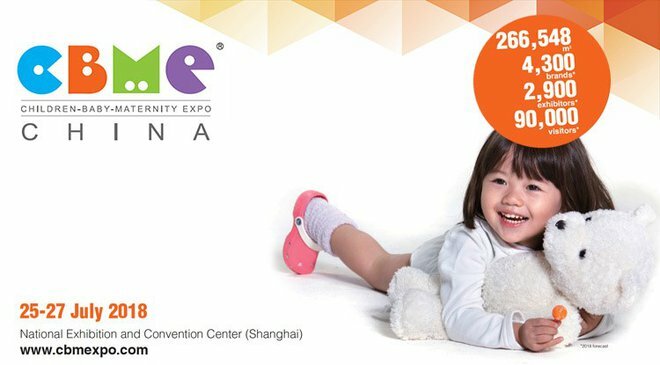 Finfeed: You’ve also secured an exhibition space at the 18th Shanghai International Baby and Maternity Product Industry Expo, which is taking place this week. Why is this important for you? Wilton: This is the world’s largest trade fair, and will be the first time we exhibit there. In previous years, we didn't have our own products yet; we only represented for others. But now the situation is changed — we own Golden Koala, Sunnya and Shanghai Dragon products, so now is the time for us to be involved in this particular high-profile exhibition and to promote most of our own in-house products. The majority of visitors will be professional buyers looking for new products and new suppliers and planning to place orders, so this translates into excellent brand exposure for us. We have secured an 18 square metre exhibition space, which will give us an opportunity to showcase Cobbity Country, Golden Koala and NEURIO in-house products. FF: In the next five years, China expects to import products and services valued at over US$10 trillion. Coming up in November will be the biggest opportunity for exposure to this market — the inaugural China International Import Expo (CIIE), which will be held in Shanghai. What will this mean for JAT? Wilton: This will be an essential platform for our retail presence and distribution network. The CIIE was designed to introduce imported products to Chinese buyers and distributors. It was announced by Chinese President Xi Jinping in early 2017, suggesting very strong central government support for trade liberalisation, opening up the Chinese marketplace to the whole world. This is a very big deal. Over 500,000 visitors from China and around the world are expected to attend, including 150,000 domestic and foreign professional purchasers for private companies, state enterprises, and provincial and municipal governments. Our Chinese partner, Shanghai Dragon, has arranged for one of the largest spaces for us — 200 square metres, and in a very good location, where we’ll promote all of our in-house and client brands. And I will be finalising the paperwork during my stay in China this week. 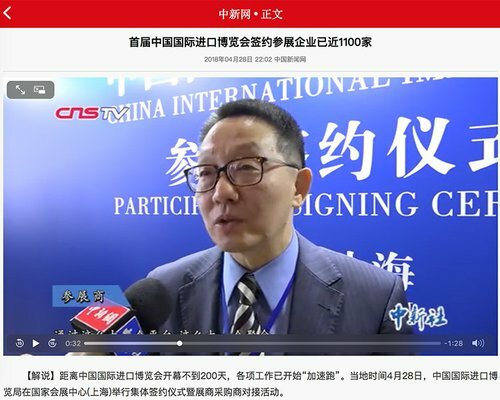 The lead-up to this event has attracted a lot of attention from the Chinese press, including the Xinhua News Agency, China Central TV Station, China News, and International Channel Shanghai. FF: What advantages does JAT offer Australian investors over its peers? Wilton: While we do sell milk products, and this is very successful, we’re not just a milk brand. This is something people sometimes don’t realise. Yes, have our own in-house brand, which is an infant formula, and also some other milk products as well. But we also have some other health products which comparable companies just don't have — DHA, for example. Another key benefit is the distributing channel. We have secured 240 stores. 50 stores are pharmacy stores in Hong Kong. We have secured major platforms and relationships, which no other company has, because we have reinforced it. The way I understand it, Australia has a lot of companies working in distribution, but they only distribute products. They don't have in-house products, and they don't have their own. We are the first company to be directly operating retail stores in China. No-one else does that at the moment. FF: Wilton, thank you for your time.